When I played Journey for the second time, after the first did not click with me, I never thought a game would provide me this experience again. A totally vague story, with visual elements telling you of a history and world around you, and action occurring throughout the game, but never being explicitly told a thing, was so beautifully created. Then I encountered GRIS and realised that this magic can be recaptured in a new way. GRIS is a side scrolling platformer that is beautifully simple, and frustratingly difficult. Mechanically it is basic, with moving, and jumping over obstacles taking up most of your time. It throws in new mechanics like the ability to use the unnamed protagonist’s cape to turn into a square, or eventually double jumping and swimming, but nothing there tends to be overly difficult or unique. 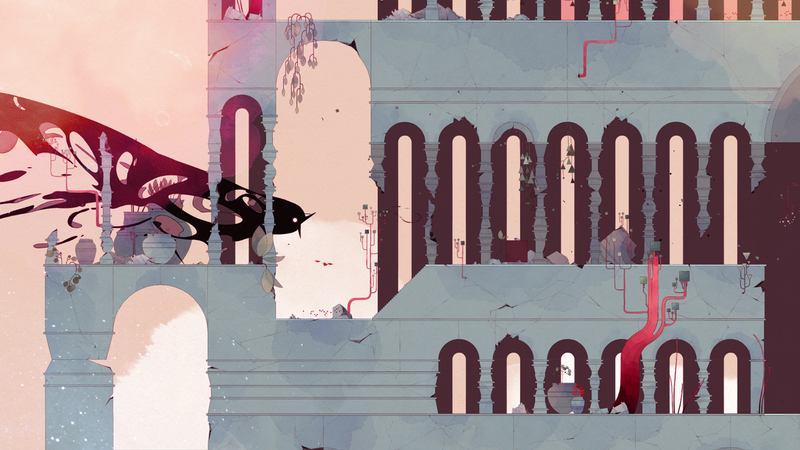 But with many great 2D platformers, the mechanics need to work, and in GRIS they work flawlessly. The real reason to be playing this side scroller is for the story. Without dialogue, you take this woman on a journey through a terrifying but beautiful world and fill the story in yourself. It starts with her singing and animations that make it clear that she is scared before she is plopped down into the world. Starting off black and white you venture forth introducing new colour in new stages as you complete the game. There seems to be a perpetual feeling of fear and loss in the world, without it ever explicitly telling you this. One of the best implementations of this is when you start getting stalked by a blackbird whose scream sends you tumbling backwards. This bird torments you for quite a while as a threat that can be occasionally seen, and pops up to provide a puzzle at times, but it’s never about beating this creature, but overcoming its presence. One of the clever frustrations is how the game introduces minor elements, regularly not telling you, or not telling you well enough about something to get past a stage. Usually you get put into an isolated space so you know you need to use something there, and once you do it uses the mechanic more often as you will recognise it after that short intro. The way it introduces these can be annoying, but it fits the feel of the whole game of being overwhelmed and finding your way through. What makes this journey worthwhile is its style and music. The game has beautiful animations with a gorgeous painting style that is as haunting as it is elegant. 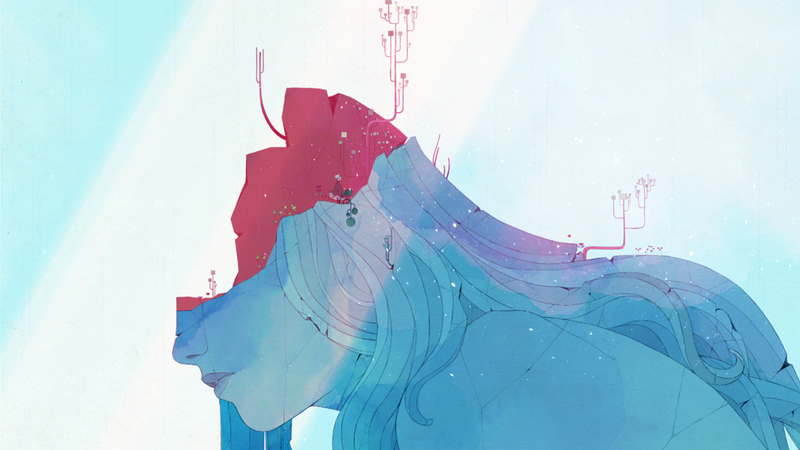 I never got sick of looking at GRIS and melting into the sad but beautiful world was heightened with headphones to enjoy its sad and beautiful soundtrack. There isn’t much more to say about this beautiful game except it’s mechanically simple and fun, but such a unique experience. You need to help this woman through this dark and gorgeous world, and in that you may feel things you aren’t used to in games. I can’t recommend GRIS enough. Game looks amazing is what I came to say haha. Your internet must have gone full potato!